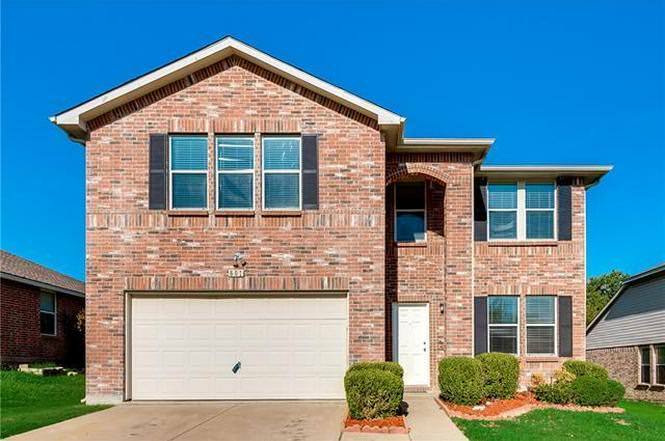 Built in 2004, this beautiful two-story McKinney Texas home located in the Brookview community has been listed for $279,000. Located at 801 Rocky Springs Dr. is a five bedroom, three bath home with over 3400 ft.² of living space. With low homeowners dues of just $24 per month, this is one of the best values in the city. There are two living areas plus a game room with a huge master suite, master bathroom with dual vanities, two closets, a soaker tub and separate shower. There are three additional good-sized bedrooms upstairs and one bedroom downstairs perfect for guests. There’s an eat-in kitchen, formal dining room, family room with cozy fireplace, and formal living room perfect for entertaining. The home has seen a new roof and gutters over the last year and sits on about a 7400 square-foot lot along Rocky Springs Drive just minutes from Minshew elementary school and McKinney Boyd high school. The home comes with a two-car garage with additional parking spaces. The homeowner association fees cover all common area maintenance and management. Other schools assigned to this area is the Dowell middle school or the Dr. Jack Cockrill middle school. Both are about a mile away. The McKinney Christian Academy in the Imagine International Academy is also close by. This home in Brookview is accessible via Virginia Parkway or Lake Forest Drive. It’s within the third phase of the Brookview community and it sits right across the street from an open green space and a small pond. Most of these streets are cul-de-sac Road so only residents and their guests are likely to be traveling along the roads, making it quiet, and walkable. Less than five minutes from this home are shops and restaurants on the corner of Virginia Parkway and N. Stonebridge Dr. You’ll find shops, restaurants, markets and more. For more information on this home or similar homes in the Brookview neighborhood give me a call today. You can schedule your showing of this fantastic home on my website for free.